The cluster stitch family is a crochet classic. This name is given to the whole group of stitches with the different names but similar technique to crochet. Each of them is formed as a group of stitches gathered at the top, or the bottom, or both. Their names are: CLUSTERS, BOBBLES, and PUFFS. They are easy to crochet and have endless possibilities to be combined with the other stitches and make new patterns. Being joined in a group, clusters look much more volumetric, hence much more decorative, than, for instance, any single stitch. There are a lot of variations to crochet the stitch. You can crochet these stitches by using single crochets, double crochets, or treble crochets. The number of stitches in a cluster can be different. The more stitches included in a group, the more decorative stitch you will get. Cluster can serve both as a decorative element and the way to decrease number of stitches in a row. A group of stitches is joined at the top. You can crochet either double or treble crochets, to form the stitch. Depending on the desired look, number of stitches in the group can be different. The video below demonstrates a stitch created with three double crochets. yarn over, pull yarn through all four loops. How to Crochet a Bobble and Puff Stitches. Sometimes it is quite confusing for a not too much experienced crocheter to distinguish the stitches of the cluster family. 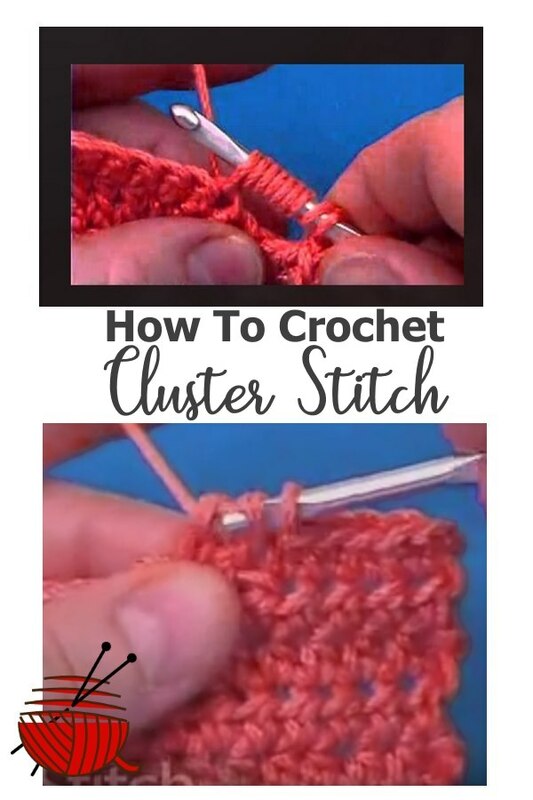 I hope these video tutorials will help you to become familiar with this remarkable cluster stitch family. To crochet a bobble stitch, join a group of stitches (single crochet, or double crochet. or treble crochets) both at the bottom AND at the top. To crochet a puff stitch is a slightly different technique. Just pull a few loops through the same stitch and join them at the top.